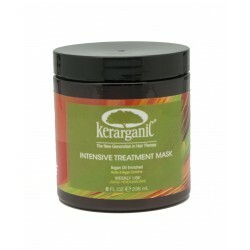 has been designed to cleanse and remove residues and oils accumulated in the hair and scalp to prepare the hair for the treatment. In addition it opens the cuticles so each hair shaft can receive and absorb the essential ingredients contained in our KERARGANIC ORGANIC KERATIN - FORMALDEHYDE-FREE – LOTION (STEP 2). 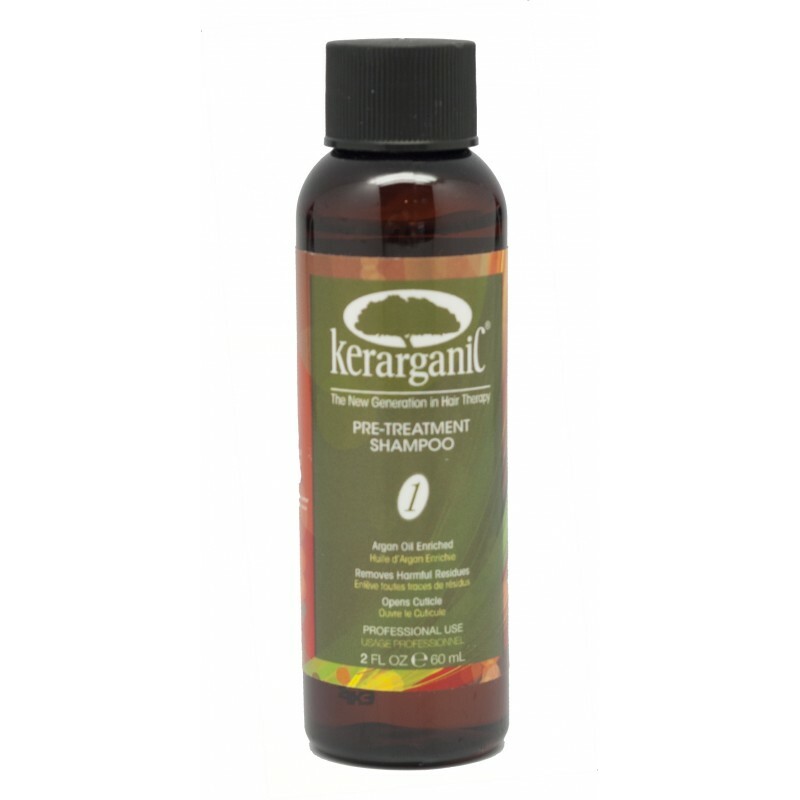 Wash hair 2 or 3 times with KERARGANIC® PRE-TREATMENT SHAMPOO (STEP 1) to remove residues from scalp and hair and to prepare hair for our ORGANIC KERATIN TREATMENT. 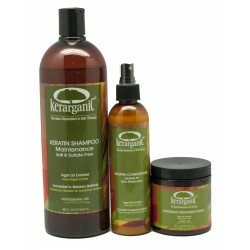 Then blow dry to about 80% to 90% and untangle hair with a comb.